MoviePass is obsolete, you should be on the lookout for a new movie ticket subscription service. With MoviePass on the ropes, its reported 3 million subscribers need somewhere new to go. Enter Sinemia. Sinemia is, at its core, very similar to MoviePass. Both services have users pay a membership fee upfront in exchange for movie tickets each month. The two are so similar, in fact, MoviePass sued Sinemia in the spring of 2018 for copyright infringement. Sinemia CEO Rifat Oguz says there's "no validity" to the claims. And there are some key differences between MoviePass and Sinemia. 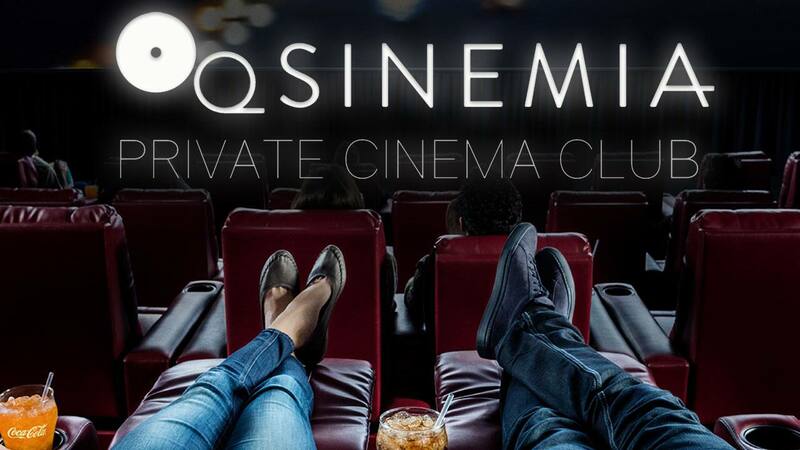 So, we took a deep dive into Sinemia to find out if it really is a better deal than MoviePass. To learn more about the fall of MoviePass and a breakdown of other movie ticket subscription services, check out our article here. Sinemia is a Turkish company founded in 2014 with a reported 22 million users in Europe. It started expanding into the American market in 2017. The service offers a tier-based subscription system that provides users one to three per month where customers can use their movie tickets. Unlike MoviePass, there is no unlimited option with Sinemia. However, it does offer access to premium viewing formats like 3D and IMAX-4DX.  You also have the option to select tickets and seats online up to 30 days in advance, and you can see the same movie multiple times in the same theater. And of course you can book your tickets through your computer or your phone. Perhaps most conveniently of all, Sinemia offers a variety of "family plans" for multiple users (but of course you can use the service with friends as well). For example, one family plan can cover the costs for up to four people. And since Sinemia allows users to select their seats beforehand, you'll never have to worry about finding a place next to your friend or significant other (a common issue users reported with MoviePass). A single account holder can book all of the tickets to a desired showtime at once, and those tickets can be used by anyone — it's not tied to a specific person like MoviePass. Sinemia currently has no blackout dates, no restrictions on blockbusters, and is accepted in nearly every popular theater chain (even AMC, which has its own ticket subscription service called AMC Stubs A-List). Curious about AMC Stubs A-List? Read more in our review of the service here. How Much Does Sinemia Cost? Sinemia offers a variety of plans -- 24 in all -- but it also seems to change the prices somewhat unpredictably. 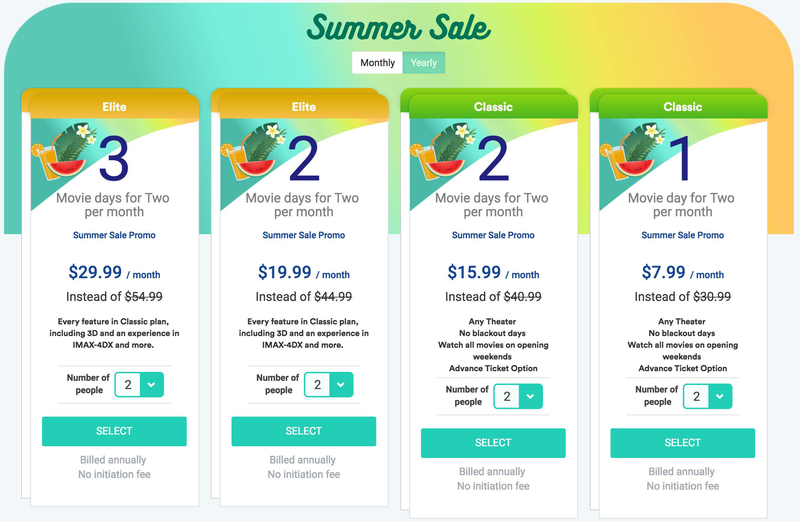 For example, the price of their "Classic 2" plan for two people has changed at least three times over the course of 30 days. The biggest fluctuation we've seen is around $7 for a given plan. 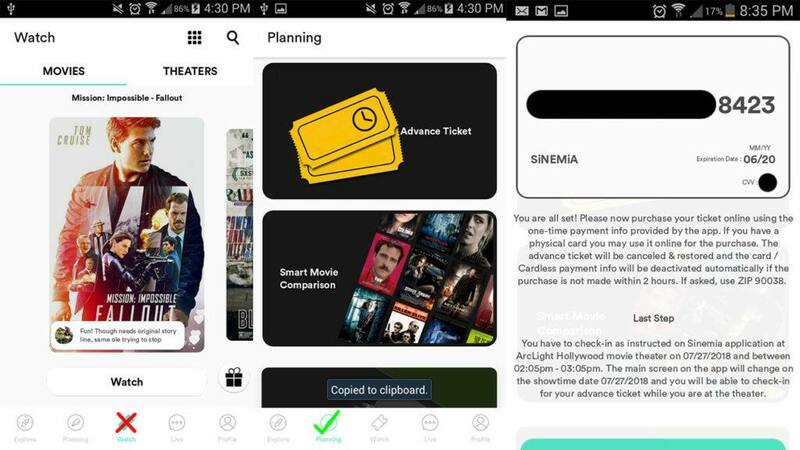 While Sinemia was traditionally an annual service where customers paid for the year upfront, it added a no-commitment, monthly option which is useful for MoviePass customers who want to give the service a test run before committing. It costs just $3.99 for a single person to see a single 2D movie a month with Sinemia. In Los Angeles, 2D screenings can cost up to $18. And for families, benefits scale dramatically. Taking a family of four to the movies once a month can cost as much as $60 before concessions. With Sinemia, it only costs $16.99. So, if you see a price that works for you, jump on it. That deal might be gone by tomorrow. As for the monthly option itself, the pricing is decidedly aggressive. The "initiation fee" costs $19.99 multiplied by the number of people on the plan. So if you want to sample the two movie days a month on the "Elite 2" package, you'll wind up paying $19.99 for the subscription and $39.98 in initiation fees. That would bring your total up to $59.97 just for the first month. Sinemia has some great values, but for now we suggest opting for an annual plan. Pro Slickdealers tip: if you go through Facebook to get your tickets on Fandango, AMC, or Atom, however, the social media behemoth will actually pay for the convenience fees. Open the Sinemia app and select "Planning." (note: you CANNOT get tickets in the "Watch" tab). Click "Advance Ticket." Scroll through the tutorial. As of publishing time, you cannot skip the tutorial regardless of how many times you've seen it. Select the movie, time, seating, and location you want to see on a different ticketing service like Fandango. Go back to the Sinemia app and click "Get Advance Ticket." Enter the theater, date, and showtime of the movie you've selected. Sinemia should then generate a one-time only use debit card number. Go back to the service you used to select the showtimes and the seats, and use your Sinemia-generated debit card to complete the purchase. Receive your tickets(s) from the online ticket service. Slickdealers should be aware that Sinemia does NOT cover convenience fees for online ticketing services. So, some customers could still have to pay $2 or $3 to go see the movie. Pro Slickdealers tip: if you go through Facebook to get your tickets on Fandango, AMC, or Atom, however, the social media behemoth will actually pay for the convenience fees. If you need a more in-depth explanation of how to use Facebook to buy movie tickets, read this article here. Consumers should be aware, Sinemia is clearly going through some growing pains right now. As more and more people make the leap from MoviePass, the service has become backlogged. It can take up to two weeks to get your online account activated, and two months or more to receive your physical Sinemia debit card. Customer service is definitely slow, and sometimes struggles with English-language submissions. Remember, the company is based in Turkey, and it's a relatively small team. That said, MoviePass similarly struggled with technical issues over the past year. If you've ever had to deal with their customer service, Sinemia's probably won't seem that bad. We suspect the operation will improve its American-facing business as time goes on and MoviePass fades away, but for now customers are trading cost for convenience and service. Should You Subscribe to Sinemia? Sinemia's plans are inherently good deals. Given that MoviePass is likely not long for this world and AMC Stubs A-List is only good at certain locations, Sinemia is the most affordable, versatile movie ticket subscription service on the market today. If you see three movies or fewer a month, don't mind spending an extra five minutes buying your tickets, and you're okay with spotty customer service, Sinemia is definitely worth it. Have you tried Sinemia? Are you still ride or die for MoviePass? Keep the discussion going in the comments! Liam Fitzpatrick is a Content Editor at Slickdeals in the Los Angeles office. He has written and edited for various digital publishers, including Ranker, Cracked, and Screen Rant. He's always got his eyes out for fresh deals, especially when it comes to entertainment and technology. If you ever want to talk about comic books, classic sci-fi, or Magic: The Gathering, he'll be ready and waiting.